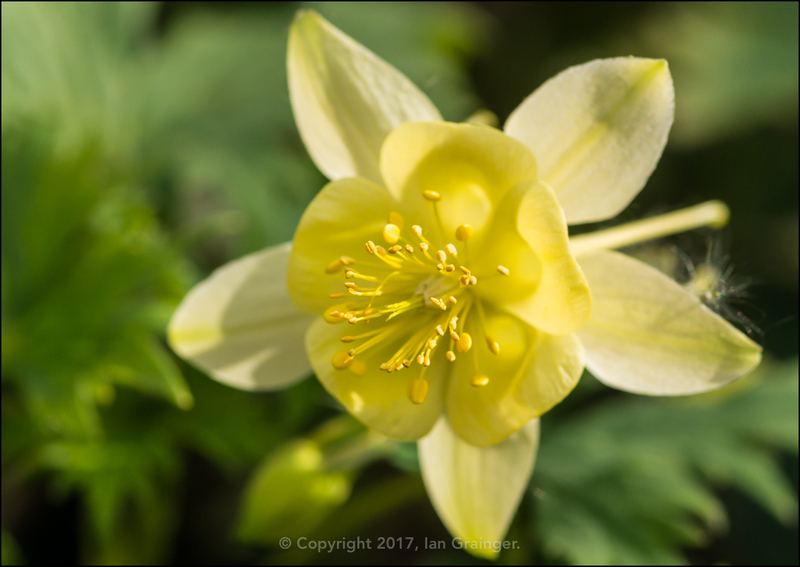 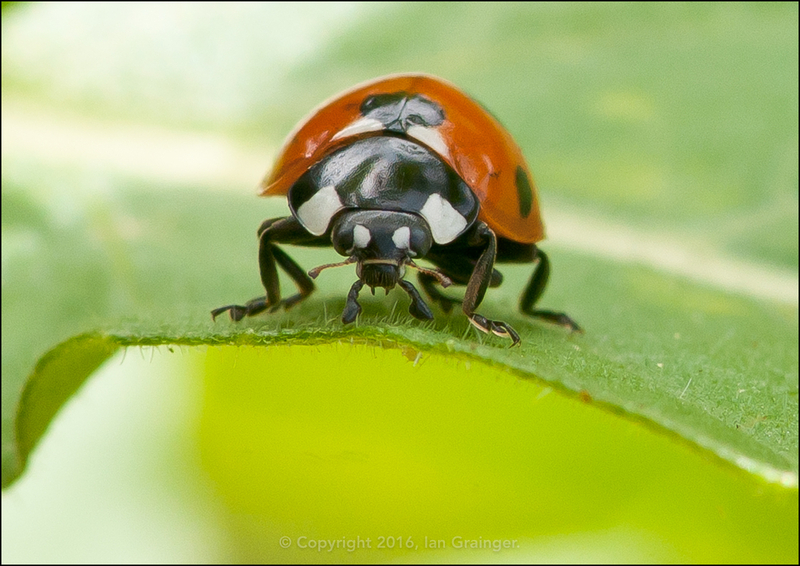 This week on my Sunday morning photo shoot I went off in search of wildlife in the shape of bugs and birds, and with the days getting warmer, there was plenty to point my camera at. 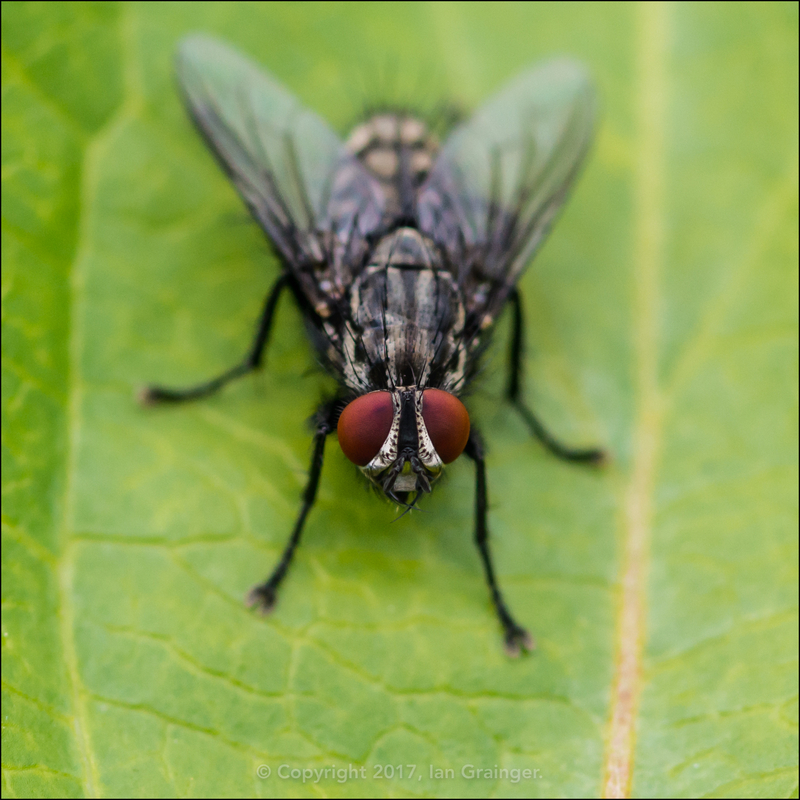 The Flesh Flies (Sarcophaga carnaria) were out in abundance, warming up in the morning sun on any available surface. 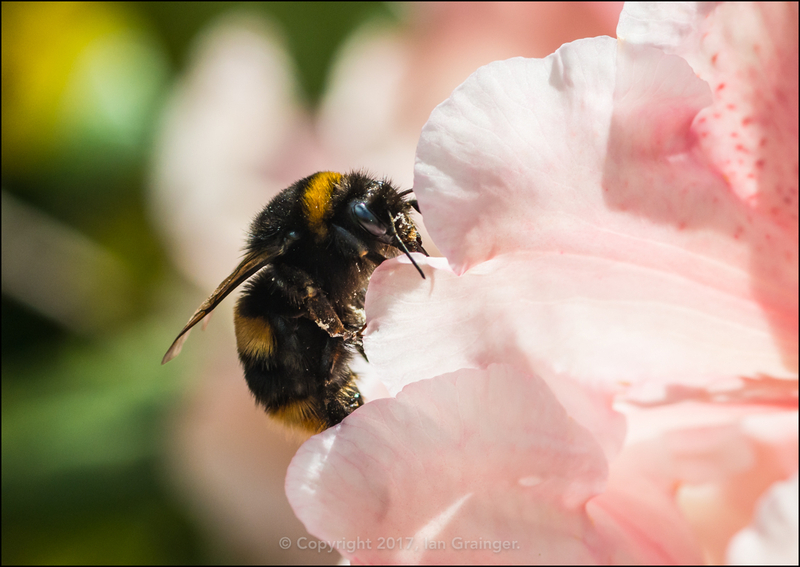 There were also a number of these fairly large Bumblebees (Bombus) buzzing around the Rhododendron blooms, collecting huge amounts of pollen. 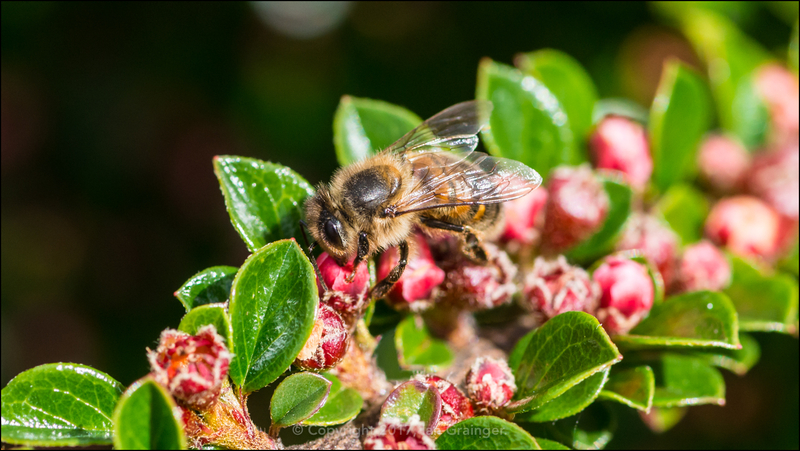 The Honey Bees (Apis) were also out in force, and nearly all of them were concentrating their efforts on the small pink blooms of the Cotoneaster bushes. 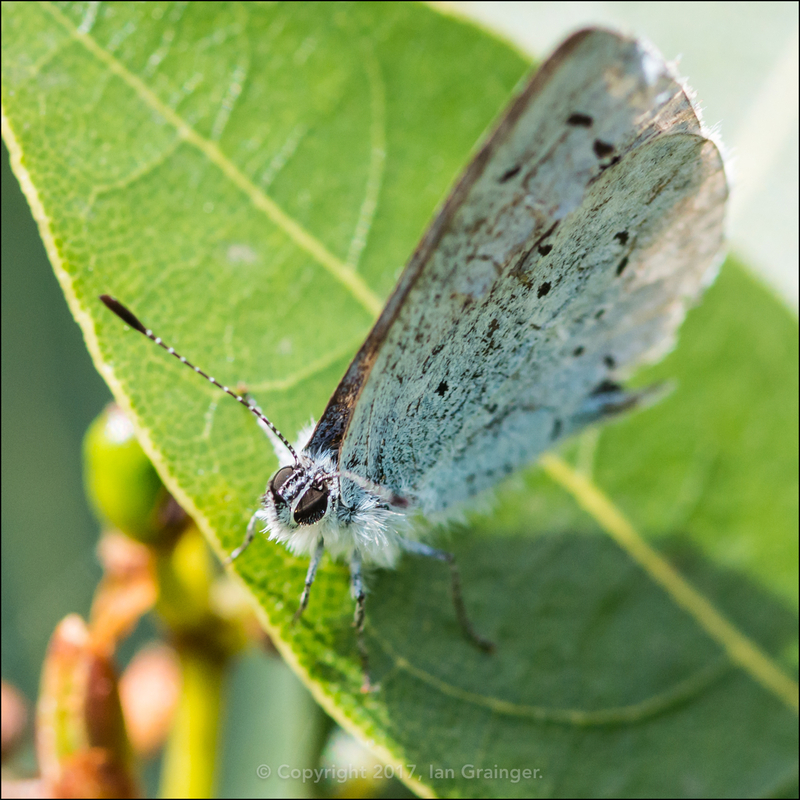 There were even a few butterflies about, with this Holly Blue (Celastrina argiolus) resting on a Bay Leaf for just long enough for me to grab a half decent shot of it. 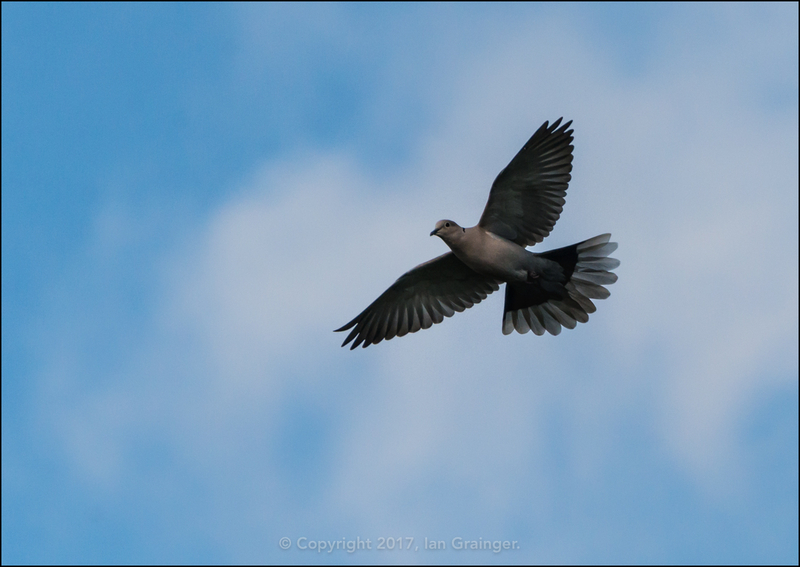 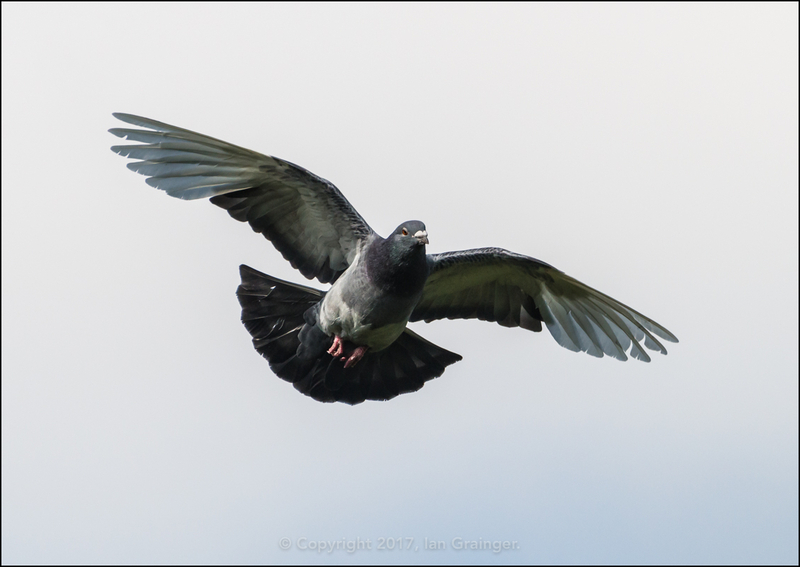 Pointing my lens upwards yielded blue skies initially, and I caught this Collared Dove (Streptopelia decaocto) flying overhead. 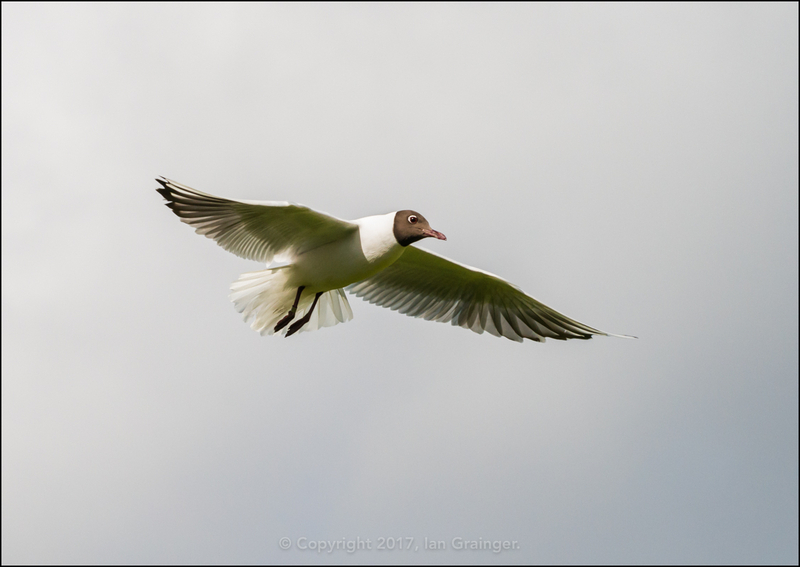 ...and it seemed to be getting dark by midday when I grabbed a shot of this Black Headed Gull (Chroicocephalus ridibundus). 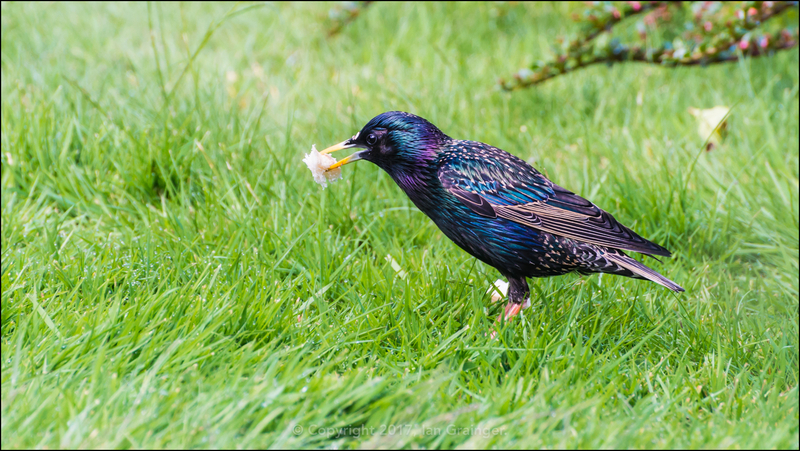 However, this didn't detract from the fabulous colours shown by this Starling (Sturnus vulgaris) as it collected bread from the lawn for its young. 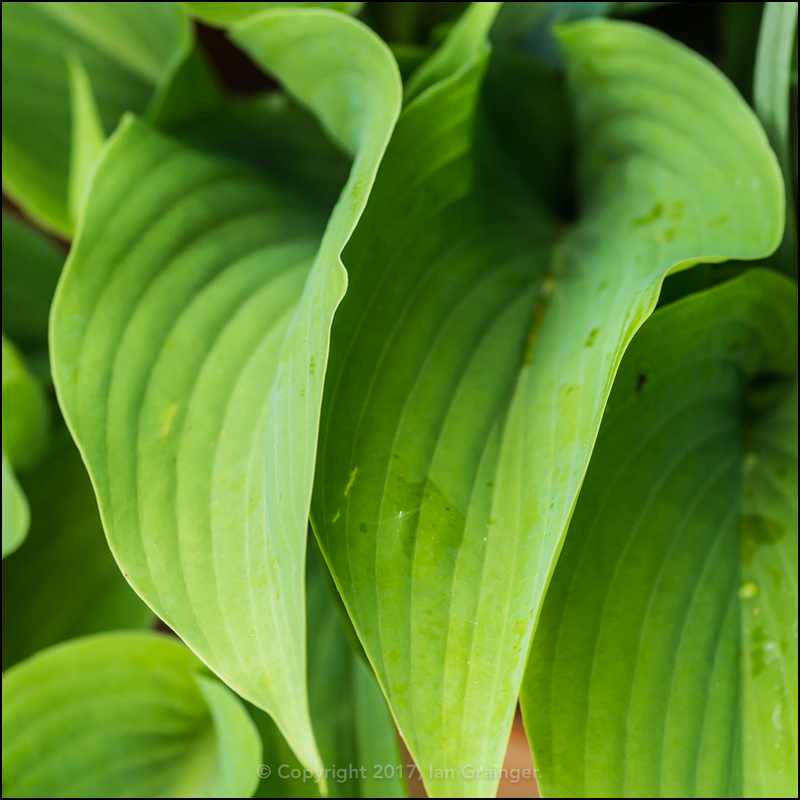 In my garden this week, it was the time of the Hosta, also known as the Plantain Lily. 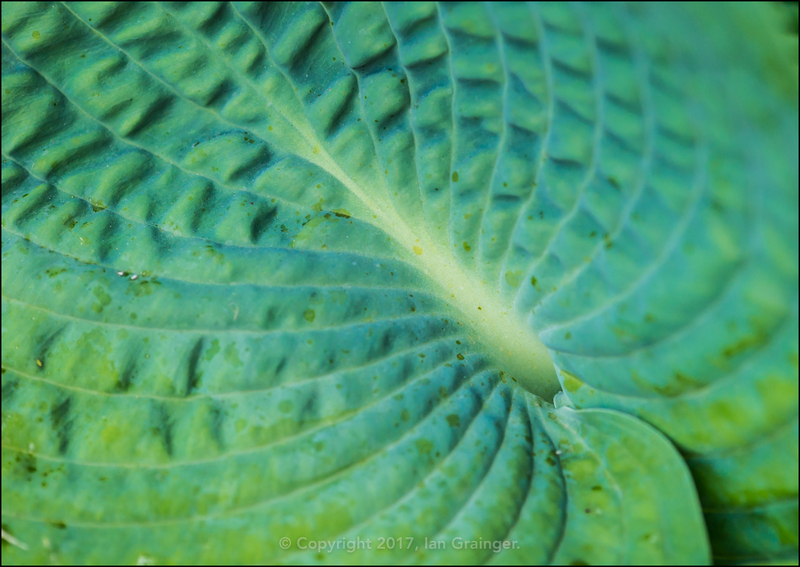 The variety Abiqua Drinking Gourd was my favourite at the moment, with its dark green leaves making a great abstract image. 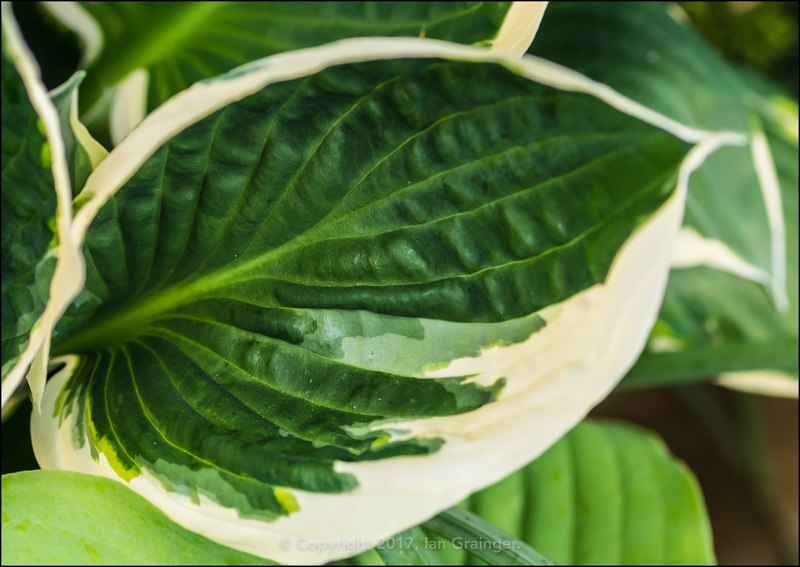 ...while variety Minuteman also looked striking with its two tone green leaves. 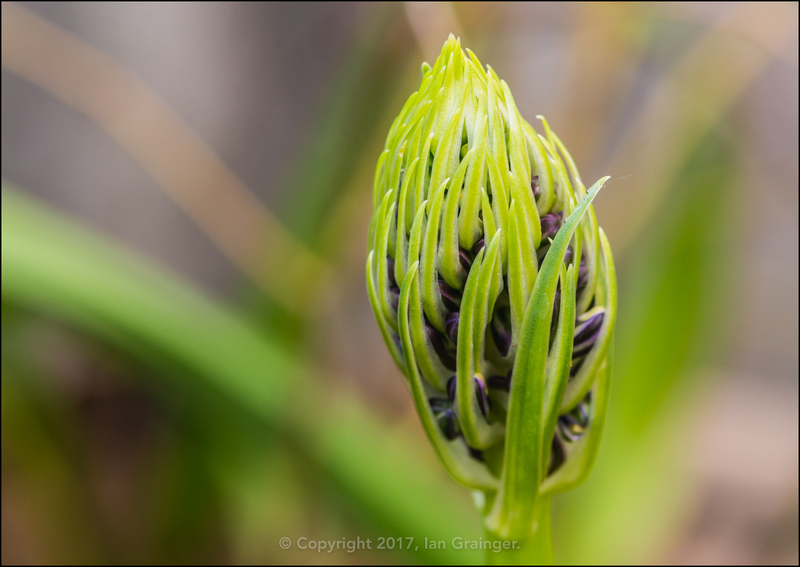 I was getting very excited at the prospect of my Portuguese Squill (Scilla Peruviana) bulbs flowering. 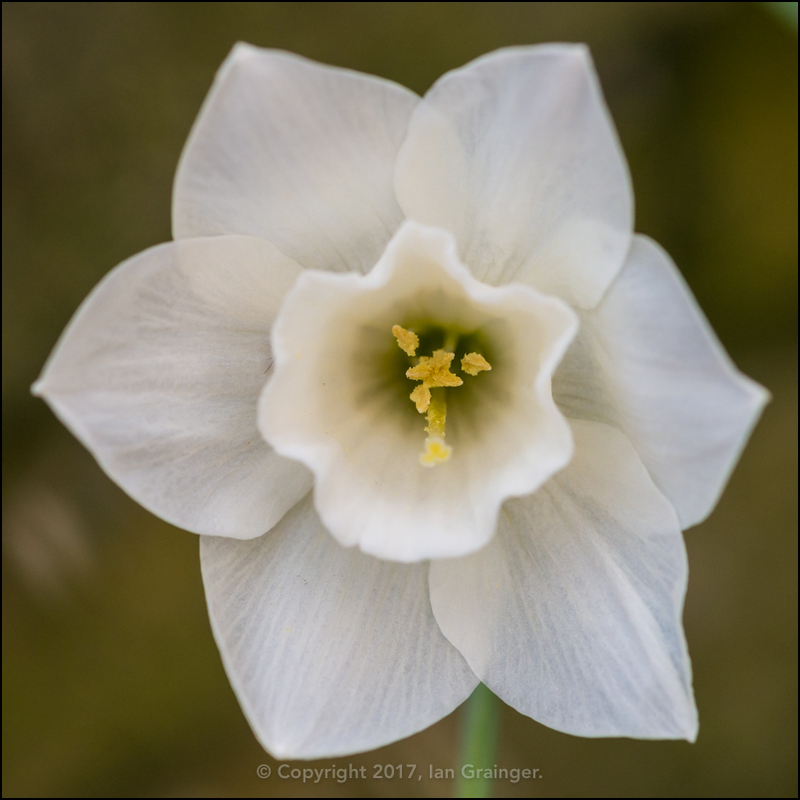 The bulbs were a gift from a friend, and I was a bit nervous about growing them for fear of killing them, but I was now only a week or so away from them bursting into bloom! 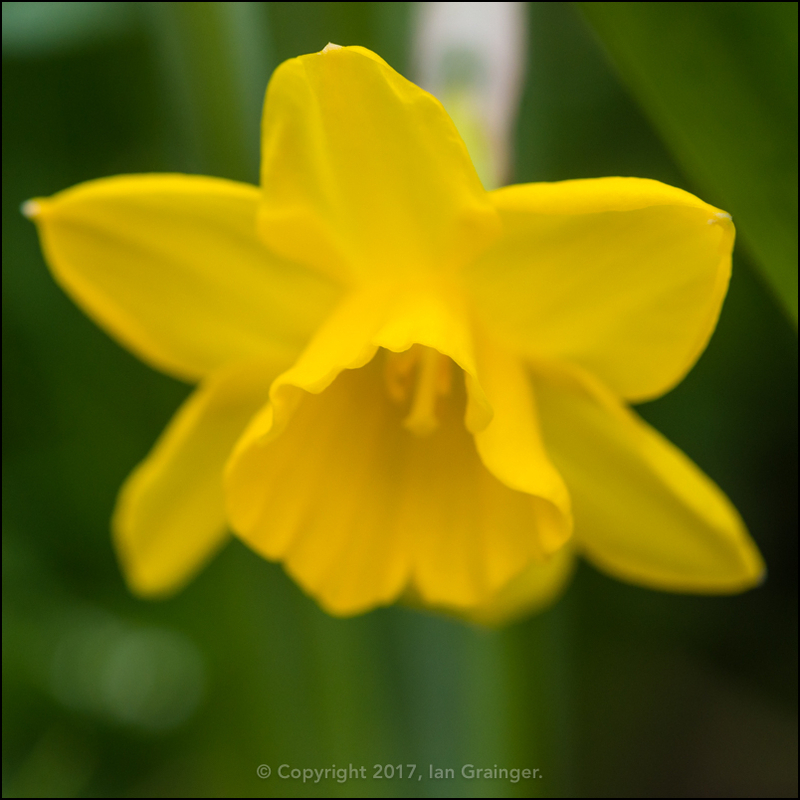 ...but two different varieties. 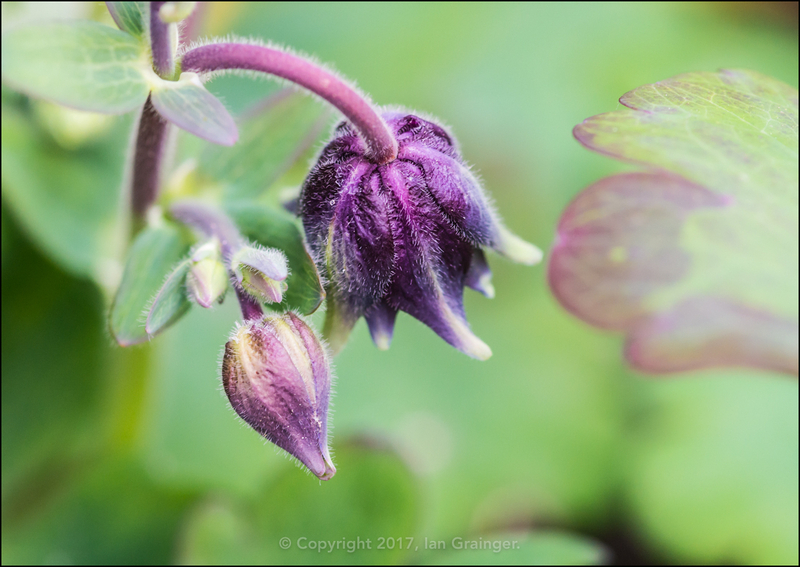 I must be learning something about this gardening lark! 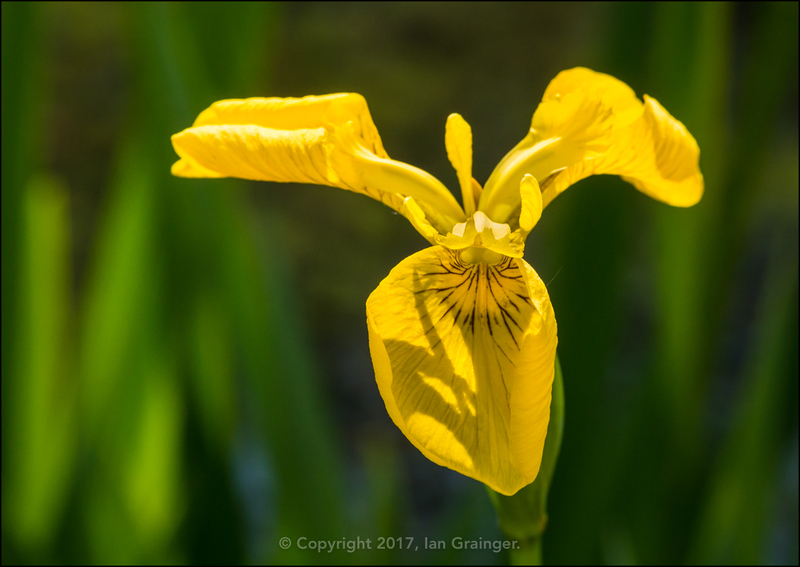 The Yellow Flag Iris (Iris pseudacorus) were coming along nicely in my pond, and had almost doubled in number since last year. 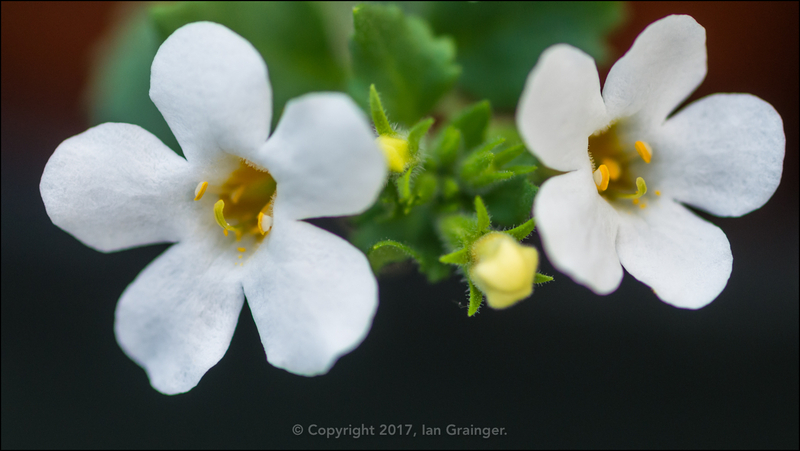 I also had lots of Bacopa (Chaenostoma cordatum) growing in my growhouse, waiting to be planted out in hanging baskets, and it had already started to flower. 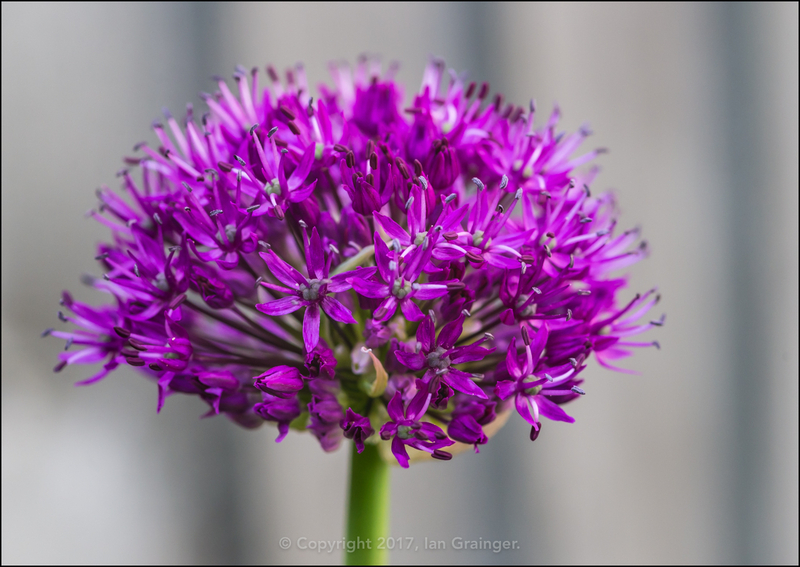 The Alliums had arrived in force, with lots of these purple globes swaying around on their long stalks all over the garden.